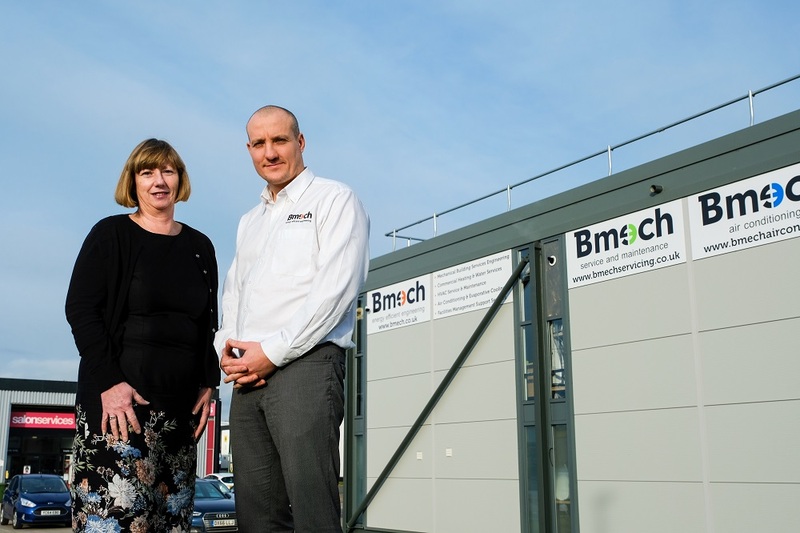 Warrington-based engineering company BMECH has received a £100k investment from NPIF – FW Capital Debt Finance, part of the Northern Powerhouse Investment Fund (NPIF), to support its further expansion. BMECH provides energy efficient heating, air conditioning, ventilation and electrical systems primarily to the facilities management industry and end users. The company was set up 27 years ago and taken over by current MD Rob Ditchfield, the founder’s son, in 2011. He has grown the company from a £180k turnover business and six employees to a £2.2m turnover company with 29 staff. The loan will assist the fast growth of the company, creating around 10 new jobs and increasing turnover to £3m this year. Rob said: “We realised that we needed external funding to maximise our growth potential. “FW Capital understood our vision exactly and put together a funding package that perfectly suited the needs of our business. The investment has enabled us to bring the electrical and air conditioning divisions in-house so that all works in this area are now undertaken by our own engineers rather than sub-contracted. We have a business plan to reach a £5m turnover within three years. FW Capital investment executive Carol Bolland added: “The contractual nature of businesses in this sector mean that it can be hard to obtain finance from traditional sources but it is an industry we are actively investing in.